Here's why we are America's Greatest! Jurassic Quest is often imitated but never duplicated. Jurassic Quest is THE Largest and Most Realistic, Dinosaur event in all of North America. Don’t be confused with other, much smaller and less authentic dinosaur events that pretend to be associated with Jurassic Quest. You will pay HIGHER FEES for a fraction of the ENTERTAINMENT. Don’t be mislead and disappointed. Unlike other touring dinosaur events Jurassic Quest has enormous, Sky Scraping dinosaurs, over 100 True-To-Life Sized dinosaurs. Jurassic Quest has also added many new rides and activities since our last visit and even added newly discovered dinosaurs! Exciting and included in your Jurassic Quest adventure - the incredibly life-like, interactive Baby Dinosaurs not found anywhere else, new Walking Dinosaurs and many new activities, including Fossil Digs. PLUS we have an army of Big Dinosaurs ready for you to ride! At a Jurassic Quest event, you’ll also see the largest carnivore ever to walk the face of the earth: the 60 ft. Spinosaurus. Stand just inches from a gigantic 80 ft. Apatosaurus, be awestruck by the gigantic T. rex and many, many more! Watch your back! At Jurassic Quest, there are roaring dinosaurs walking around. Go back in time with Jurassic Quest - where the BIG Dinos Live! A Day At Jurassic Quest Includes All of This and More! ‍- Over 80 LIFE-SIZE, and INCREDIBLY REALISTIC, dinosaurs in our exhibit! 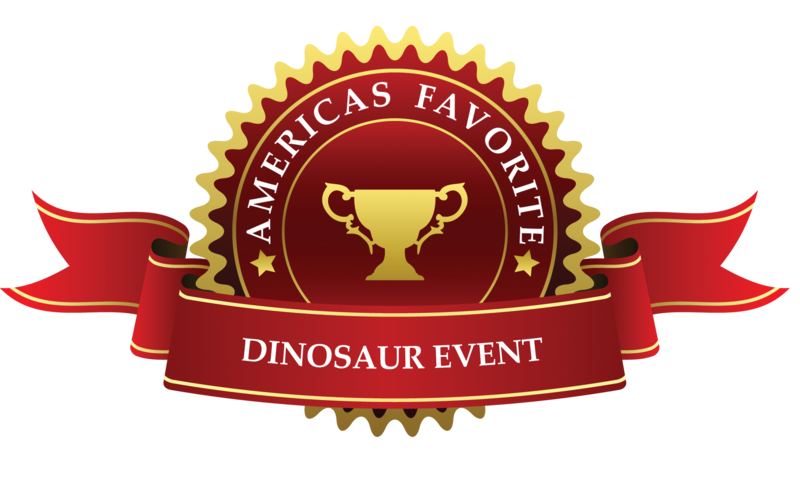 - Stationary Dinosaur Rides: Ride on the back of our LARGEST, animatronic dinosaurs, including our two LARGEST dinosaur rides, which are our Carnotaurus and our T. rex, reaching heights of 24 ft.
- Dino Cinema: Take a seat and watch some entertaining, and educational, prehistoric films!